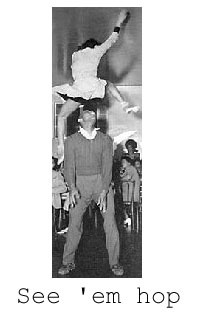 The lindy hop is generally said to have been ‘invented’ in the Savoy ballroom in Harlem in the late twenties. It’s premier dancer, "Shorty" Snowden, threw off his partner in a competition before a large press contingency and performed a brief "breakaway" of fancy footwork that wowed the audience. Referring to the trans-atlantic hop Charles Lindbergh had recently completed, Shorty replied, "It’s the Lindy." Later known as the Jitterbug and danced across the nation by millions for decades to follow, Shorty may not nave known it but his hop was just as formidable as that of the famous aviator. Born into the atmosphere of the Harlem renaissance, the lindy had its roots in traditional African dance and that heritage was celebrated. Perhaps more than the lindy wasanything, however, it was more notable for what it was not. The lindy was no waltz, nor any foxtrot, and those who danced it knew that they were participating in a culture that no longer allowed itself to be defined by the entrenched values of white middle class. 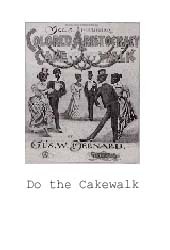 Though indirect, it was a rebellion against white’s appropriation of the cakewalk and the attempt to make their class the ideal toward which every poor man and black man strives. The lindy was a full-throttle break from that tradition and an effort to break free from the middle class order and structure that kept them on the bottom. Hoppers were excusing themselves from the social constraints that were pressed upon them elsewhere, and the dance, highlighted by its fantastic breakaways, did just that. As famed Detroit lindy dancer Ernie Smith was quoted in Jazz Dances (330) on the subject of his low class and often black dance partners, "I suppose you could call those mill-town girls lower class, but they could really dance. In fact, at the time it seemed that the lower class a girl was, the better dancer she was." As we learn from Marshall and Jean Stearns, "The environment from which the lindy developed had much to do with the nature of the dance." The pair go on to describe a dance which grew in a violent and volatile environment, its major figures as skilled with their fists as with their feet. Late twenties Harlem was a hard neighborhood given little attention by police, and in their absence many ‘secret gangs’ arose, a kind of vigilante law and order presiding over the neighborhood that would eventually become the street gangs of the twentieth century. 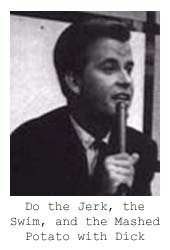 One of these gangs, the Jolly Fellows, was founded by famed lindy hop choreographer Herbert "Whitey" White. 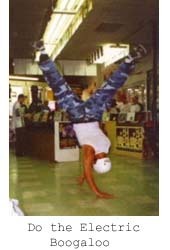 While "Whitey’s Lindy Hoppers" wowed audiences in ballrooms everywhere, they also belonged to a gang who required that potential members approach any shopkeeper, punch him squarely on the jaw, and then stick around to see what happened. Were a member injured unfairly, Whitey and the Jolly Fellows would not hesitate to turn a ballroom into a brawl (Marshall, 318). 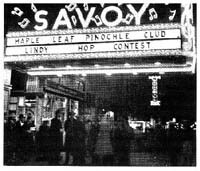 The Savoy, located in the heart of the Jolly Fellows turf, became the refuge from the volatile community outside, and the Jolly Fellows became the club for dancers. The dancing within "syphoned off much of the nervous energy this constant pressure," of life in Harlem generated(Marshall, 320). Even the Savoy was not free from this new gang mentality, however. Shorty and the other best dancers dubbed the northwest corner of the ballroom the ‘cat’s corner,’ and anyone not one of them dancing within it would be "whipped and tromped up in the crowd." "The ways of ejecting an intruder were many, but the most effective was "as he danced by to break his shins with gracefully executed Charleston kicks"(Marshall, 322). There were rules within the corner as well, the less prominent dancers going first, then gradually working up to the best, after which there was to be a respectable period of no dancing. This protocol within the world of the lindy seems to take the opportunity offered by the dance one step further. Not only were lindy hoppers able to step outside the boundaries of traditional social class, they established new rules themselves. With Whitey as head bouncer at the Savoy and the Jolly Fellows as enforcers of the lindy movement, the rules were clear. This was only the scene on which the dance developed, though. The dance did not become a national phenomenon until later, and particularly in 1936 with Benny Goodman and the birth of big band swing. With its spread across the nation, the original feelings that came with the lindy were lost, its name even changed to the jitterbug. White middle class Americans, once challenged by the feelings of social upheaval which gave rise to the dance, no longer even recognized those origins. Daughters happily danced the jitterbug right alongside the waltz and the foxtrot at high school cotillions, and the social message of the lindy was appropriated and made safe by mainstream, white America.